Having served the Singapore Armed Force since 15th Jan 1979 in the guards units, I decided to carve out a living outside the civil service and build myself a career in real estate in the private sector. Being in the real estate industry for almost 3 decades now, I’ve seen the best and worst of clients which brought out the best in myself in facing the toughest challenges this industry has tossed upon me. Going through the upturns and downturns in the property market both locally in Singapore and overseas, it has been challenging and rewarding facing the unpredictabilities of the real estate market for both local and international properties. With the wealtth of experience I’ve amassed over these coming 3 decades, I’ve armed myself with the best information and knowledge for me to best provide advice and accurate information to serve my clients both locally and foreign with confidence. My clients who were once strangers with me are now my friends for life and I hope to have the privilege of shaking hands with more strangers and providing them with the best service in the property market that I can offer and thus making another friend for life. 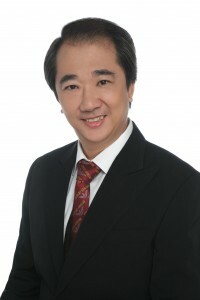 A practicing realtor since 1997, Eric’s primary focus is the sales and leasing of residential properties, with primary focus on the private secondary markets. A strong believer of prompt personalized service, coupled with empathy, he believes that paying attention to details and being responsive are always a time-tested virtues to keep and retain clients. He currently manages a portfolio of residential properties for some clients whose business relationship with him spans more than 10 years. 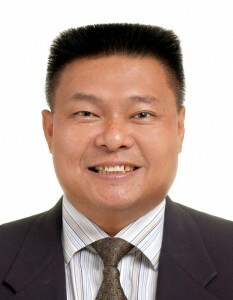 After working in Brunei, I decided to quit and joined Grandhome Consultant Pte Ltd in 1990. I was the TOP sales Rockie throughout concentrating in HUDC and working closely with TORIE GROUP selling their projects successfully. In 1995, I quit Real Estate industry and joined NAIM Holding Supervising their projects with Far East Organisation(FEO) Holding, Esplanade, Swissotel Hotel(former Westin Standford) ETC till 2003. I joined Premiere Realty(Boutique & Real Estate) to share my wealth of experience and networth of clients with this firm.